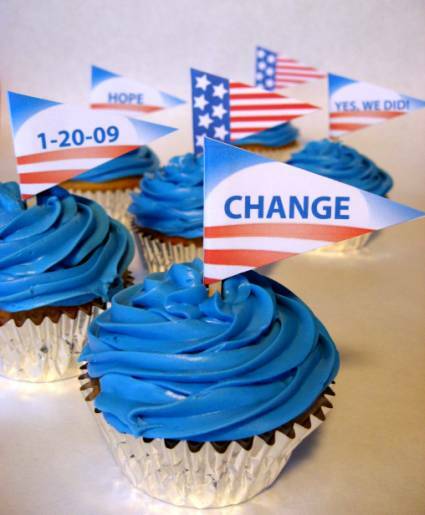 Here are some simple cupcake toppers you can make to celebrate the upcoming Presidential Inauguration. 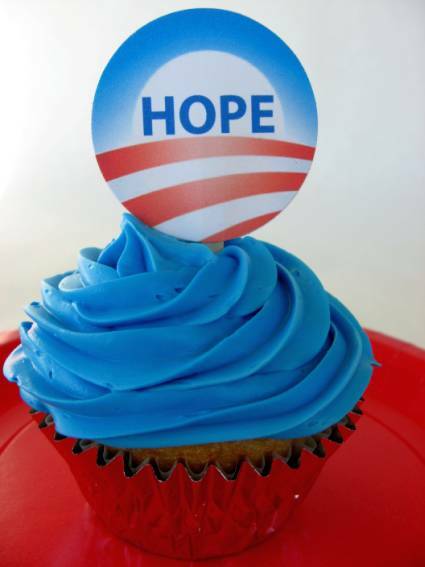 Download a cupcake topper PDF and print on card-stock. Center the image in the punch and cut. The large open bottom of this circle punch makes it really easy! Place glue on the backs of the circles and sandwich a wooden pick in between two circles. 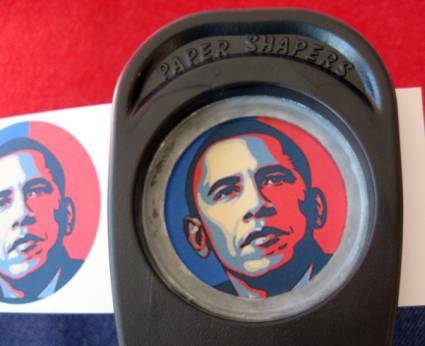 For the triangle flags fold in half, cover inside with glue and place a wooden pick in the fold. 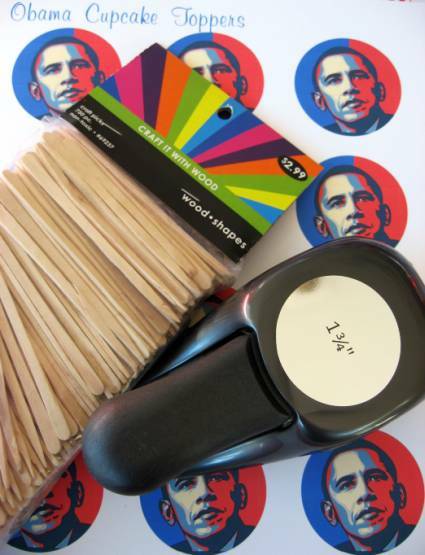 These cupcake toppers even make great stickers for party favors. Print the toppers on 1-up sticker paper (it’s a solid sheet available at copy shops). 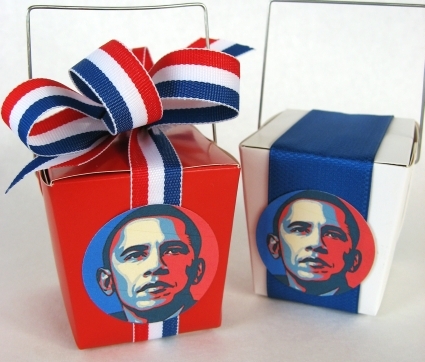 Add a ribbon and the sticker to a miniature Chinese take out box and you have a festive party favor for your Inauguration celebration. These are great and will really make this party specific! Thanks. Love these. Super simple, perfect for next week. I was hoping I’d find some little decorations just like these, so THANKS! Hi Cindy! I posted this in my blog yesterday with credit to you and your blog. Thanks for sharing this great idea! Thanks for all the great ideas! And the print outs! This looks great – creative and affordable. Thanks!! I love the print-outs. 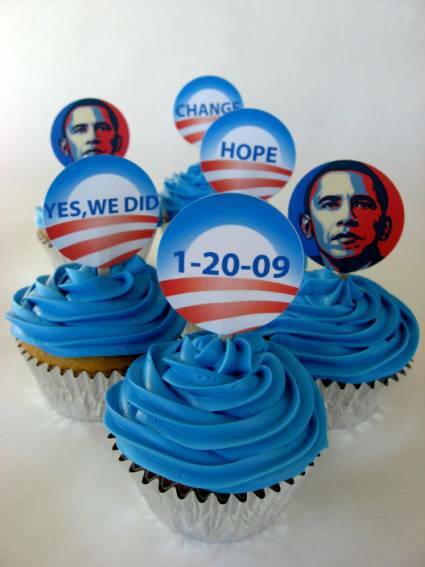 I’m going to use them in my classroom tomorrow to celebrate the inauguration instead of on cupcakes. The toppers were at hit! Ahh I love google! This is just what I was looking for!